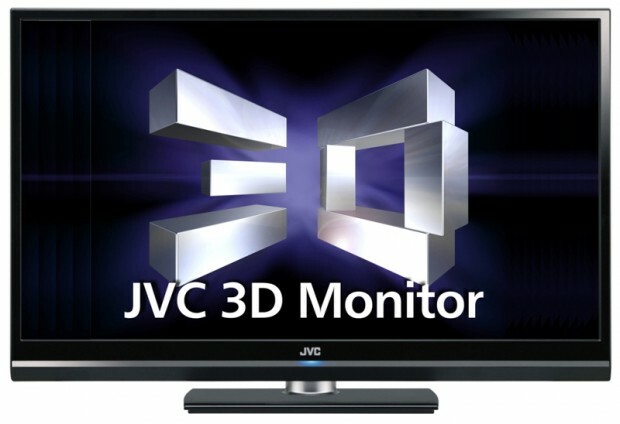 Victor JVC today announced the GD-463D10 for the Japanese market [JP], a 46-inch full HD LCD TV with a 3D function. But it’s not necessarily suitable to watch Jaws 3D on the device. Victor JVC is targeting mainly businesses, research facilities and medical institutions, promising superior picture quality and a good 3D feeling. The TV uses Xpol technology for the 3D effect, meaning users need to wear special glasses (two of which are delivered with the device) to get the 3D experience. The GD-463D10 features a contrast ratio of 2,000:1 (10,000:1 in dynamic mode), three HDMI ports, 10W×2ch speakers and 1080/24, 50p, 60p, 50i and 60i support. Victor says the TV will get distributed worldwide, but only gives us a shipping date for Japan (beginning of July) at this point. The device will be priced at $7,000. Americans can try the TV out during the NAB Show, a digital media industry show, that’s taking place from April 18 to 23 in Las Vegas.